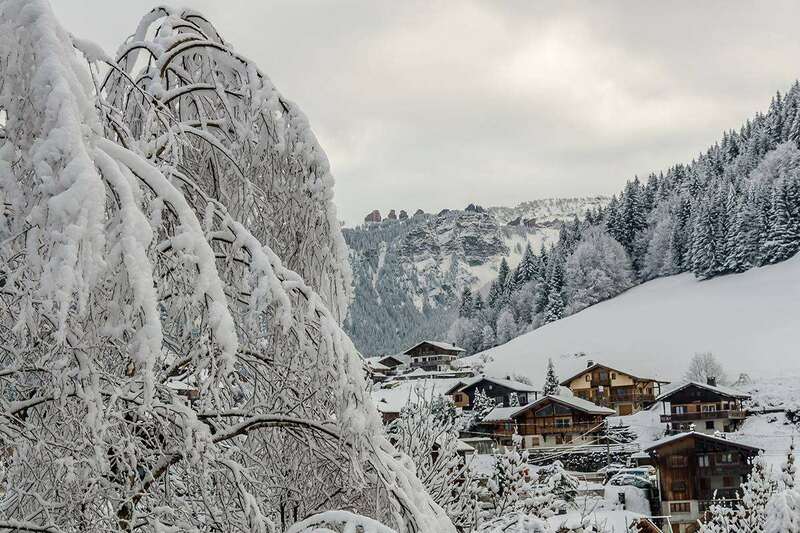 Located within walking distance of the centre of Morzine, this hotel is a tranquil, family-run establishment with the friendly atmosphere of a mountain chalet. It is within easy reach of the local bars and shops, whilst the lifts are easily accessed via the free ski bus with the stop immediately outside the hotel. Please note: The walk to the hotel is up a gradual hill, therefore may not be suitable for those with walking difficulties. Standard rooms have twin or double beds, private facilities, telephone, satellite TV and balcony. All rooms can take a third bed. There is a fondue night once a week. This hotel has an ideal location in the resort - the 30 min interval resort bus stops at the hotel. The bus service to Les Gets runs from the town centre is easy to connect with once you get to know where it starts/stops. The proprieters are a delightful couple, + they are extremely helpful if you need info on buses etc. You will not fail to be impressed by the food - the chef serves tradtional French cuisine that inlcudes five course evening meal. Breakfast is standard continental, sufficient for your start of day. The downside is that the walls are paper thin, accordingly hotel is noisy at start and end of day periods.